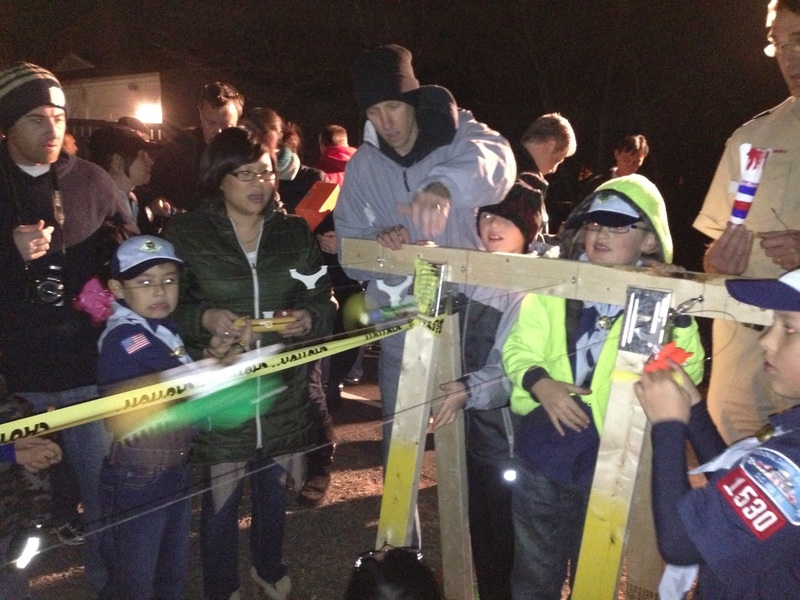 The Space Derby is a racing event where Cub Scouts race miniature balsa wood rockets along a tense-strung wire propelled by a rubber band-powered propeller. We hold the space derby every other year. Unlike the Pinewood Derby, the Space Derby is not held for trophies - it is held only for FUN. 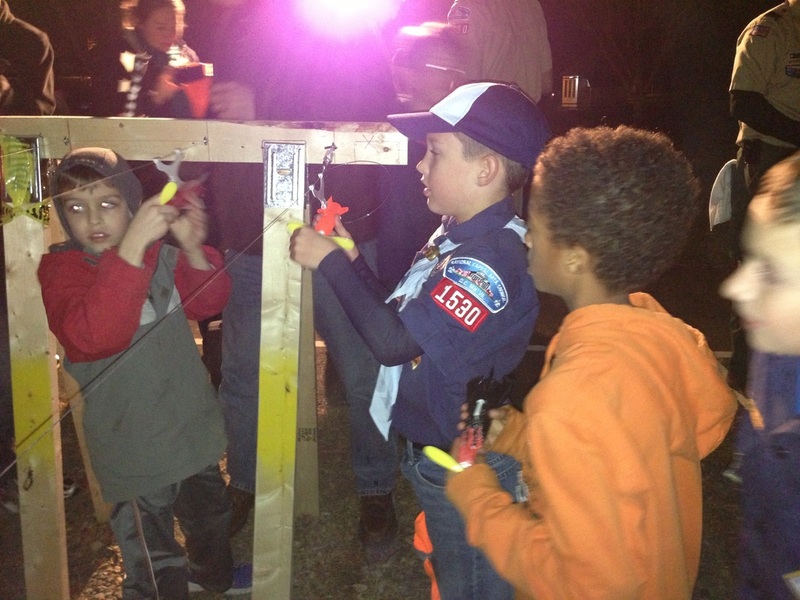 Boys are encouraged to make clever designs and to make their rocket ships go as fast as possible. They race against boys in their den and the other boys of the same age. This is a fun family project with mom/dad working alongside their boy to make a rocket under no stress and pressure. More information on the rocket ships can be found in the Space Derby Overview document.